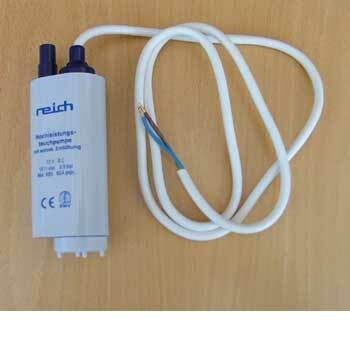 Reich, a German company, specialises in caravanning equipment. They state that their aim is simply ‘to make leisure time pleasure time’! Their products are really quite versatile from Reich weight controls, taps, car mirrors to Reich manoeuvring systems. All answers to making every day caravanning life easier and therefore the holiday more fun, relaxing and a success! When Reich develop and manufacture their products they always emphasise quality by only using the best possible resources so it is not much of a surprise that many of the items they make are award winning. Look in this section for just some of the Reich UK items we stock here at Leisureshopdirect. As soon as you arrived at your campsite the fun and relaxing can begin. For the driver however, the getting there and getting back is a slightly more serious affair. You really need to be on constant full alert travelling on the busy roads of the UK in summer and it is so important to know what's behind you or over-taking you at any one time! Reich offers a range of clip-on mirrors with conventional adjustment suitable for almost all cars. Maybe you fancy the idea of being able to adjust the mirrors from inside your towing vehicle, without any other assistance. If that is the case, have a look at the Reich Mirror Control Towing Set with one mirror and remote. With the infrared remote control the mirrors can be adjusted exactly to the needs of the user. The adjustment of the mirror is done by electro motors, fed over the internal batteries. Owing to the low current consumption, the used batteries have a long operating life. We also sell the two mirror Reich UK set, Reich Mirror Control Caravan Towing Mirror Set with two mirrors. If you were looking to spend less, then the Reich Excellent View Towing Mirror has proved very popular with our customers in the past and has excellent reviews. 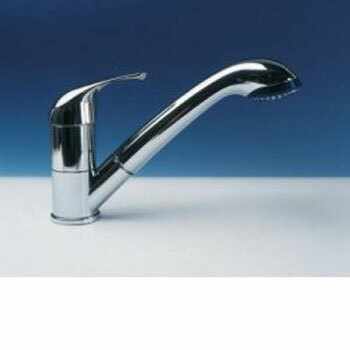 Here on Leisureshopdirect we sell a very wide range of caravan taps and caravan taps spares for repair and maintenance. We have very good customer feedback and satisfaction with our Reich Uk taps. Reich caravan taps are a great choice for anyone who wants a home away from home on a caravan trip. The Reich Keramik and Reich Kama tap range are very stylish and offer great durability, with their excellent build quality and innovative design. All the Reich ranges offer excellent and consistent performance and are easy to maintain and clean. Reich Uk is renowned for its high quality and is very competitively priced. For example look at caravan motor movers to see how Reich compares with other makes. A motor mover is essential for a relaxed, easy stay. With the touch of a remote control button, you'll command far greater manoeuvrability in and around a caravan park, when hitching up or when moving your caravan round in storage. Even the best quality, most robust items can unfortunately break, so if you need any Reich spares then look no further! For example if you own a Reich Single Lever Charisma Mixer Tap and you need Reich Spares for it, then look in the Reich Single Lever Mixer Tap and spare parts. We don’t just sell Reich spares on Leisureshopdirect, but many other spare parts for all your caravan needs.